Jurate, center, a Lithuanian artist produced a square and helped the other quilters with their designs. By early 2012, AP had worked with Roma groups to produce four striking advocacy quilts. Over thirty Roma women in three European countries had produced squares. These were then assembled in the US, and widely shown in the US and Europe. It suggested that quilting offered Roma women a splendid outlet for their energy and skills. Encouraged, AP decided to use what remained of our small grant from the previous year to invest in another Roma project. 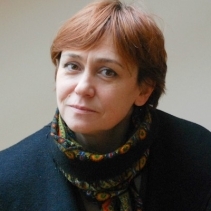 We approached Ana Rozanova, an official at the Council of Europe who had worked on the Dosta! quilt in 2011. Ana suggested her own country, Lithuania. 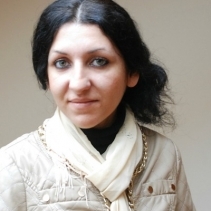 During a visit to Vilnius, Ana met with leaders of the Roma Community Center (RCC) and sounded them out. They liked the idea, but recommended against working from the largest Roma settlement center at Kirtimai, where the RCC had an office. Instead, Ana met with a small group of professional women who jumped at the opportunity. 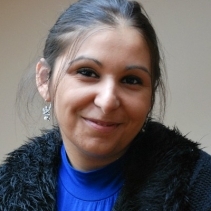 AP recruited Elise Filo, a Brazilian-American who had worked with Roma in East Europe, to work alongside Ana as a Peace Fellow during the summer. Ana secured a small grant from the Open Society Arts and Culture Program (Hungary), and the project was off and running. Allison Wilbur re-assembled the squares into the final quilt at her home in Rhode Island. Even when the quilt was finished, the artists were unwilling to quit. They made twenty small framed wall hangings which were sent to AP to be exhibited and even sold. Elise continued to take excellent photos and produce blogs. Finally, when it was all over, Elise collected the tiles and brought them back to her mother, Kelly, in Rochester New York. Kelly, a quilter, assembled a rough quilt and Alison Wilbur, an experienced quilter from Rhode Island who worked with AP on several previous projects, finished off the job. 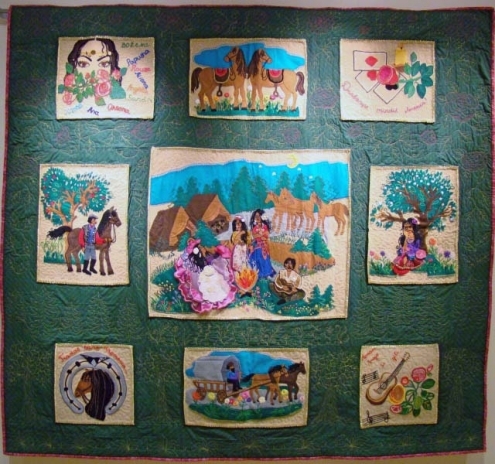 The quilt was then unveiled for the first time at the Kean University on January 1, 2013, alongside the four other Roma quilts. Romany life was finally in view, in all its romantic glory. Click here for more photographs from the Kean University event. 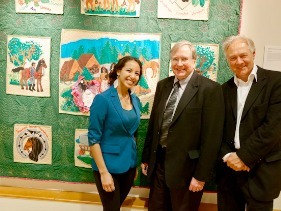 On Display in New Jersey: Janine Rivera (left), a student, and Professor Hank Kaplowitz (center) helped to coordinate the Kean University exhibition in 2013. They are shown standing in front of the Roma Life quilt. 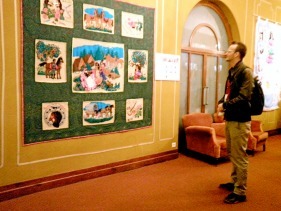 On Display in Marseilles: Four of the Roma advocacy quilts were displayed at the Italian Institute of Culture, in Marseilles France, in November 2013. The story is set in a time when Roma travelled the countryside. While many of the elements (clothes, caravans etc) are no longer in use, the music and dancing remains a central part of Roma life in Lithuania. Narrative by Elise Filo. For Bozena, the quilting project was a nice way to learn a new skill in a relaxing atmosphere with new friends. She would like very much to continue using her new embroidery skills to illustrate topics of Romani life, from traditions to everyday routines. 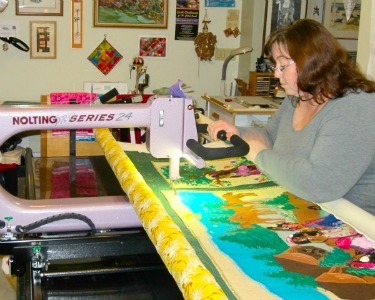 Bozena sees this project as the first step towards employment for the quilting group. Jurate is our Lithuanian artist and teacher. Although she did not join the quilting to learn how to embroider, she did learn quite a bit! 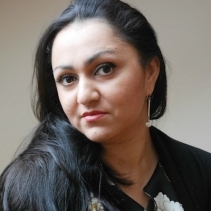 If society is to change its attitudes towards Roma, both sides will have to adapt. This project has provided a basis for women on both sides to reach out by hosting visits to our classroom, offering an embroidery workshop, and organizing charity events. Oksana’s special contribution to the team has been her talent in drawing. Although she has always drawn, she is really struck by how well the designs have been realized. 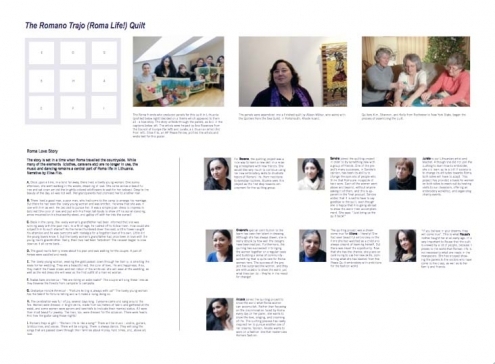 Furthermore, the quilting has succeeded in bringing the women together on a regular basis and building a sense of community – something that is quite rare for Roma women here. The success of the project has surprised the women, and they are enthusiastic to show the world just what they can do – they’re in the mood for change! The quilting project was a dream come true for Aliona literally! She had seen beautiful embroidery in the films she had watched as a child and always dreamt of learning herself. But there was never the opportunity. Now that she has the chance, she plans on continuing to use her new skills, combining what she has learned from the Peace Quilt embroidery with ambitions for the fashion world. “If you believe in your dreams, they will come true.”This is what Rouse’s mother taught her at an early age. It is very important to Rouse that the quilt is viewed by a lot of people, because it proves to the world that Romani life is not necessarily what one reads in the newspapers. She has enjoyed showing the panels to the visitors who have come to the class, as well as to her family and friends. 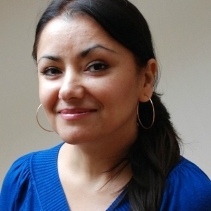 Anzela joined the quilting project to show the world what Roma women can accomplish. Rather than focusing on the discrimination faced by Roma every day on her panel, she wants to show the love, singing, and blooming of life. The quilting process has really inspired her to pursue another one of her dreams: fashion. 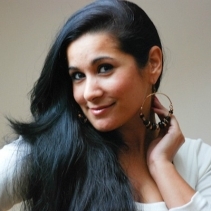 Anzela wants to work on a fashion line that modernizes Romani fashion. This poster can be downloaded and printed. Click on the image below.